A DIY step-by-step guide on installing an electric water heater in residential homes. Explore the installation tips, video guides, reference documents and easy-to-read instructions to keep the unit efficient, well-performing while saving the energy. 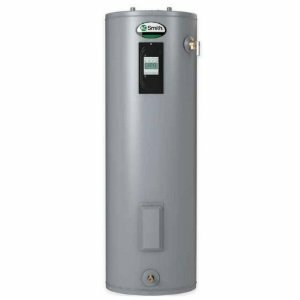 The purpose of this article is to provide basic directions for the proper installation of a new electric water heater and adjustments for the long-term reliable and safe operation. Either installing a new unit or replacing the old one. The heater is too "old." The tank might be corroded and is leaking. The tank is full of sediment deposits, so it doesn't perform as well. The new appliances are more advanced and have a way higher energy factor. You need a larger tank or one with the higher recovery rate. 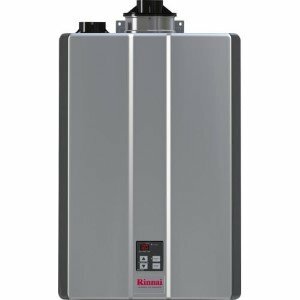 Now, the most important thing you should know when installing an electric water heater, is, to install it per codes (local and national), standards and manufacturer's instructions, so you can have years of trouble-free and safe water heating. This is an easy DIY project, and it takes one to two hours, depending on your knowledge and skills. The installation process involves basic plumbing and electrical skills. If you need help or prefer professional installation, always contact a licensed professional, he is the one who knows the local codes and requirements for the proper hook up. Installing an electric water heater is easier than installing a gas unit, also very safe, as there is no venting and gas installation needed. Even the location is not a problem; electric units can be located almost anywhere; inside the house, as long as the area is clean, dry and free of the flammable vapors. It does not require combustible fuels, which can leak or explode. They don't have pilot lights that can ignite the flammable vapors, or produce carbon monoxide, which can backdraft into the occupied living space. Keep in mind that the earthquake affected area might require seismic straps. The straps are used to secure the water heater to the wall and therefore prevent it from tipping over. The following instructions are for installing an electric water heater in the new home or when replacing the old unit in an existing household. The first step of this DIY project is to set the new water heater in place, install it in a suitable metal drain, and level it, so it stands on the floor vertically. The floor should sustain its weight when full of water. The recommendation for a location; near the center of the water piping system and in the area that is not subject to freezing such as a garage, basement or a closet. The drain pan has to be 2" in height and at least 2" wider than the tank, and include the drain. 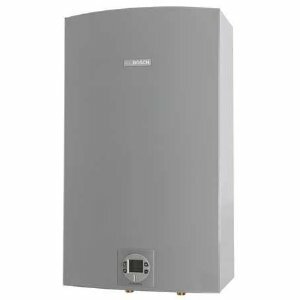 Place the water heater, so it provides easy access and enough space for the service and maintenance, especially of the thermostat and heating elements. The water heater should not be placed in the area where the potential leakage can damage the surrounding areas. Always make sure that water and electricity are turned off before you do any work. The drain valve found at the bottom of the unit must be closed. The hot and cold water connections found at the top of the unit are clearly marked and are 3/4 NPT. Install the heat traps on the water heater if these are not already factory installed. Use the Teflon tape or pipe compound (pipe dope) to ensure the proper seal and prevent leaks. When selecting the piping, the plumbing pipes must be suitable for potable water distribution, and that includes the copper, CPVC or Polybutylene. If your house has copper pipes, you can either solder the pipes or use the compression fittings. First, solder the threaded adapters to short pieces of copper pipe and approximately one foot from the water heater connection to avoid direct heat exposure. Then connect it to the water heater. You can also use the flexible steel breaded pipes with the shark bite fitting connection to connect the copper plumbing lines to the water inlet and outlet of the water heater. PEX pipes are also an option. It is recommended to use the unions or flexible copper connectors for ease of removing the water heater for service or replacement. Make sure that the hot water line is connected to hot water outlet and the cold water line to the cold water inlet. Check the local codes as some may require the installation of a mixing valve or anti-scald device, also the vacuum relief valve. Install the shutoff valve at the end of the cold water supply so as the thermal expansion tank if the system is closed, by using the propane torch and the right solder. The shut off valve must not be located between the water heater and expansion tank. Install the TPR valve (temperature and pressure relief valve) with the discharge pipe near the floor (maximum 6" from the floor) and to the proper drain. Once the water supply is installed, connect the power lines and ground wire to the heater's junction box located at the top of the unit and behind the metal plate. Details of the electrical part should be done per manufacturer's installation guide. Before installing the electrical wiring, check the diagram found on the water heater. The wires should run through the conduit which is attached to the heater with the conduit connector. If the unit has the knockout hole, punch it out by using the hammer or screwdriver. Use a wire nut to connect a cable connector to the knockout hole. Connect the cable that runs from the electrical panel to the heater; red with red, black with the black (you can use the plastic twist caps) and bare ground wire around the ground screw found on the water heater. Put the metal plate back to cover the wiring. The proper overload fuse or circuit breaker protection must be installed. Remove the thermostat plate and the insulation to reach the thermostat. Set the thermostat to a temperature between 110 F and 130 F, (43 C-54 C). Most of the time, the thermostat is factory set to approximately 120-125 F. You can keep it in that range. Put the access plate and the insulation back. Fill the tank with water. While filling the tank, make sure the hot water faucet is open for a minute or two, to bleed the air from the water lines. Turn the power on and make the necessary adjustments to prevent the burning scalds. After turning the power off, let the hot water inside the tank, cool off. Use the garden hose to drain water from the storage tank. Check the voltage on the wires by using the voltmeter. Remove the discharge pipe from the TPR valve. If the pipes are hard-plumbed, you must cut the lines, but if these are connected with the adapters simply unscrew the connections. Remove the water heater, but be careful, it is heavy. Get a friend and use the dolly cart. The power supply voltage must match the heater's rating plate. Electric heater usually requires 220/240 V and between 30 and 60 amps. The branch circuit wire and fusing or circuit breaker have to be of the proper size. Check the breaker that powers your heater. It has to be rated with enough amps and volts to carry the load. Electrical connections must be tight and unit properly grounded. Feed the electrical wires through the piece of conduit. Before filling the tank, check your work first and make sure that there are no leaks in the piping and all connections. Remember to close the drain valve before turning on the water. When the tank is full, you should turn on the circuit breaker to send power to the heating elements. If you turn on the heating elements before the tank is full of water, they will be ruined due (known as the dry-fire) and will have to be replaced. 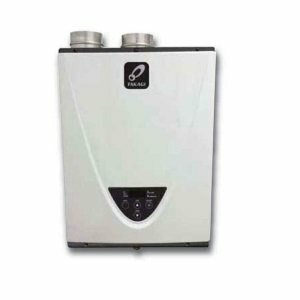 Installing an electric water heater properly and when maintained regularly, the unit operates as designed and operate for a long time. Warnings: Do not work on the heater before you turn the power off. Do not turn the unit on when the tank is empty. Hire a professional if you are not comfortable with the unit's installation, service or maintenance. If you experience problems such as the no hot water, not enough hot water, rumbling noise, relief valve dripping, leaking and other, check out this troubleshooting guide.